November 4, 2004 -- DPAC Technologies, the market leader in embedded 802.11 wireless networking solutions, and the University of California, San Diego division of the California Institute for Telecommunications and Information Technology [Calit²] announced the signing of a major industry/university technology development agreement. The agreement calls for DPAC's Airborne(TM) Wireless LAN Node Module to serve as a base-enabling technology in development of first-response emergency management products and strategies being developed by Calit². The effort is part of an initiative to improve crisis response for homeland security sponsored under the WIISARD (Wireless Internet Information Systems for Medical Response to Disasters) program funded by the National Library of Medicine. DPAC and Calit² will collaborate on adapting the Airborne wireless module's features and capabilities to serve as the key data communication method for a variety of products to be utilized in monitoring victims in an emergency first-response situation. It is expected this partnership will result in new wireless applications and products for a variety of applications. The partnership follows the successful development of a wireless pulse oximeter prototype using the Airborne(TM) module in a joint project of Calit² and Dolphin Medical. "We're proud Calit² has selected DPAC technology to continue its work, and we're confident our partnership will break new ground in wireless connectivity solutions," said Kim Early, CEO, DPAC Technologies. "In addition, this partnership will further be strengthened by our association with UCSD, which is widely acknowledged as having one of the world's finest engineering schools." The DPAC/Calit² agreement consists of three phases: Phase I, currently underway, is focusing on development of a wireless pulse oximeter unit (for monitoring a patient's blood oxygen level), which incorporates DPAC's Airborne(TM) Wireless LAN Node Module. Phase II will center on DPAC and UCSD's collaborative efforts to develop and implement advanced wireless applications built around DPAC's next-generation wireless node module. Phase III will consist of an ongoing program in which DPAC will help support UCSD's undergraduate and graduate engineering programs by providing the university with Airborne(TM) Evaluation Kits, wireless products and development tools. 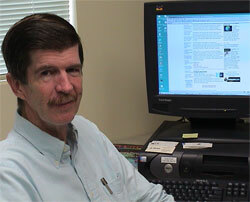 Douglas Palmer, Calit² principal development researcher and WIISARD project advisor, has worked with dozens of evaluation kits over the years. "The DPAC kit has proven to be the best-designed of all," he said. "You plug it in and it works right from the start. That's a tremendous positive for the learning experience. When students achieve early success, that breeds a lot of enthusiasm, and they ultimately go far. But this doesn't happen if students run into nothing but problems early on." Technologies Located in Garden Grove, Calif., DPAC Technologies (Nasdaq:DPAC) provides embedded wireless networking and connectivity products to OEMs for machine-to-machine communication applications. DPAC's wireless products are used by major OEMs in the transportation, instrumentation and industrial control, homeland security, medical diagnostics, and logistics markets to provide remote data collection and control. 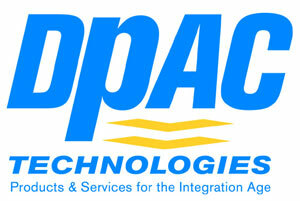 The company's web site is www.dpactech.com. The California Institute for Telecommunications and Information Technology is one of four California Institutes for Science and Innovation created in late 2000 by California to ensure that the state maintain its leadership in cutting-edge technologies and industries. The mission of Calit² is to extend the reach of the Internet throughout the physical world - enabling anywhere/anytime access to the Web. More than 200 faculty members from UCSD and UC Irvine are collaborating on interdisciplinary projects, with funding and other support from more than 50 industry partners. This press release includes forward-looking statements, including statements regarding technology development, expansion and business plans that are subject to change, uncertainties and risks. Every statement herein that is not historic in nature is a forward-looking statement for purposes of the Safe Harbor provisions of the Private Securities Litigation Reform Act of 1995. Such statements involve risks and uncertainties, and therefore results may differ materially from those set forth in these statements. Factors that affect DPAC's business include, but are not limited to, the degree of market acceptance of our existing and planned wireless connectivity products, future business opportunities with these products, the IDA market and prospects for future considerations under this agreement, protection of licensed technology or proprietary rights, risks of litigation, and general market and economic conditions. More information about the risks and challenges faced by DPAC Technologies Corp. is contained in the Securities and Exchange Commission filings made by the Company on Form 10-K, 10-Q and 8-K. DPAC Technologies Corp. specifically disclaims any obligation to update or revise any forward-looking statements whether as a result of new information, future developments or otherwise.